Little Wild Horse Canyon, San Rafael Swell, UT. 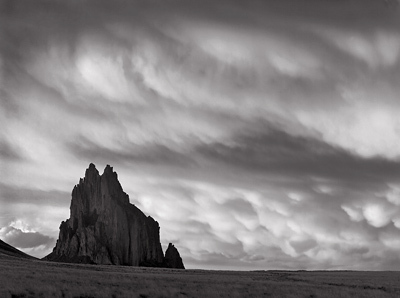 Shiprock and Storm, 1997. Shiprock, NM. Dunes, Sunrise #2, 2015. Death Valley National Park, CA. December 2 through 6, 2019. Private workshops designed for 1 to 4 participants, available throughout the year to fit YOUR schedule. Group workshops for up to 4 participants coming again soon due to popular demand! Experience the excitement and ease of Contrast Masking to achieve remarkable print quality firsthand! Taught by Lynn Radeka with visits and demonstrations by masking guru Dr. Dennis McNutt. This informal and enjoyable workshop will take the "mystique" out of contrast masking. Fine-tuning your prints to fulfill your visualization will become an exciting reality. Learn to easily make a variety of valuable and powerful contrast masks effortlessly and quickly, using inexpensive films and developers. The use of a densitometer is not needed, as this workshop stresses the use of contrast masking as an art in itself. The potential for improving your print quality is enormous! 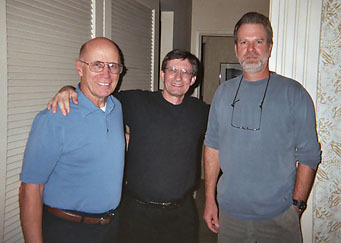 at the October, 2005 workshop. Photo by Roy Pope. 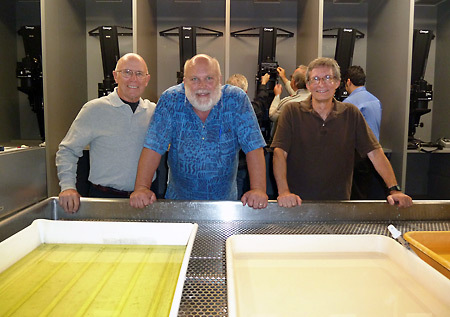 Dr. Dennis McNutt, Chauncey Bayes and Lynn Radeka at a 2012 Orange Coast College Photography Contrast Masking demonstration and lecture series. These unique contrast masking photography workshops will stress the making and use of an array of different contrast masks to improve and enhance black and white print quality. Lynn Radeka with Ron Gaut (with guest visits by masking-master Dr. Dennis McNutt) will be teaching and demonstrating various techniques of making and using several types of contrast masks such as the Unsharp Mask, the Contrast Reduction Mask, Shadow Contrast Increase Masks, Highlight Masks, Dodge Masks and Fog Masks. Students will view comparison prints showing the profound improvements that masks can make in actual prints. Using participant's negatives, as well as Lynn's original negatives, appropriate masks will be determined and made under Lynn's guidance. Afterwards, participants will make prints from those masked negatives and discuss the improvements in print quality. The Precision pin-registration carrier system in Lynn's enlarger will be used for all masking and printing demonstrations. Fine-tuning masks using a variety of techniques including Lynn's highlight-brightener formula will also be taught and demonstrated. This intensive and enjoyable workshop will be limited to only four participants so that maximum attention can be given to each individual. Each participant will be given a signed poster and a workshop booklet. This workshop will be held in Lynn Radeka's darkroom in southern California. Photographer Ron Gaut will assist Lynn at some of these workshops. Lynn hopes to make this the ultimate multi-participant contrast masking workshop, teaching in-depth techniques that no other workshops even approach. With these exciting tools in the photographer's arsenal, achieving the "ultimate" fine print will become an exciting reality instead of an impossible task. We recommend that all applicants have at least a little basic experience in Black and White darkroom work. This workshop is primarily geared toward medium and large format photography but those shooting small format are welcome as well. All demonstrations will be given using 4x5 negatives. Participants are encouraged to bring original negatives in 4x5 format if possible (or 5x7 and 8x10 formats if the participant wishes to learn masking for contact prints), as well as prints and/or test strips, but are not required to do so. As of this writing (March 2018) only private 1-on-1 workshops are available. Group workshops (2 or moe participants) can be arranged at your request. The normal group workshops (for up to 4 participants) will be returning on a regular schedule soon. Please notify Lynn Radeka about your interest. 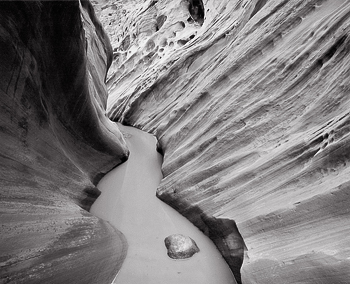 Lynn has been traveling and photographing the American West since the late 1960's. He has a number of books to his credit including Ghost Towns of the Old West, Historic Towns of America, Forts and Battlefields of the Old West and Great American Hotels. Lynn was commissioned by Smithmark Publications in the 1990's to make 8x10 prints from Ansel Adams' negatives under the ownership of the Library Of Congress for the large format book Master Of Light: Ansel Adams and His Influences. He is also featured in the recent book World's Top Photographers: Landscape. 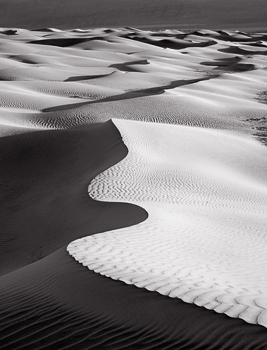 Lynn's black and white work has been published in books and calendars. Posters of Lynn's photographs have been displayed and sold in America's National Parks since the mid-1980's. Lynn is the co-author of the Contrast Masking Kit manual and has been conducting Contrast Masking Workshops since 2005.. Dennis McNutt has been in the photographic scene for decades. He is an inventor of all kinds of techniques and devices and an outstanding photographer often using an 8x10 camera to capture his images in the field. Along with photographer Mark Jilg, Dennis researched the methods for altering tonal relationships in the traditional film-based darkroom and wrote the original articles for three prominent contrast masking techniques: Contrast Reduction Masks, Highlight Masks and Shadow Contrast Increase Masks. These remarkable methods have greatly influenced the work of photographers throughout the world including the other instructors at this workshop - Aaron Pazanti and Lynn Radeka. Dennis has a unique ability to explain even the most difficult concepts in easy to understand ways. We are honored to have Dennis as a guest speaker at the Contrast Masking Workshops. Ron was Influenced in his early work by Ansel Adams, John Sexton, Lynn Radeka, Ray McSavaney, and other contemporary "west coast" landscape masters. Private one-on-one photography workshops with Lynn Radeka are now available. These popular workshops offer the beginning, intermediate and advanced photographer lessons in contrast masking, zone system or general photographic techniques and are designed to suit each individual's interest or level of experience. Two person workshops may be available at a reduced hourly cost per person but depend upon availability and scheduling. Reduced hourly rates may be available if scheduling ten or more hours. Please call or e-mail for information. For students and professional photographers alike, this is the workshop to attend for the utmost in personal attention. This workshop is tailored to the individual's experience and the material covered depends solely on the participants interests. It is the most in-depth instruction possible. Students may participate in masking and printing their own negatives in Lynn's darkroom under his guidance, or may observe Lynn masking and printing his negatives. Students determine exactly which procedures/processes they wish to learn, and at what pace they feel most comfortable with. The Precision Pin-Registration Carrier System will be demonstrated and used for all printing and mask-making procedures. Fee: $100 per hour, with a minimum of 4 hours per session. Payment required at end of each session or in advance if you wish.. Hours: Any - depending upon availability. Please schedule with Lynn in advance. Materials to bring: Pencil and paper, sample prints (if desired), original negatives (if desired) of either 2 1/4 or 4x5 format (preferred). Contact: Lynn Radeka via e-mail to reserve a space.